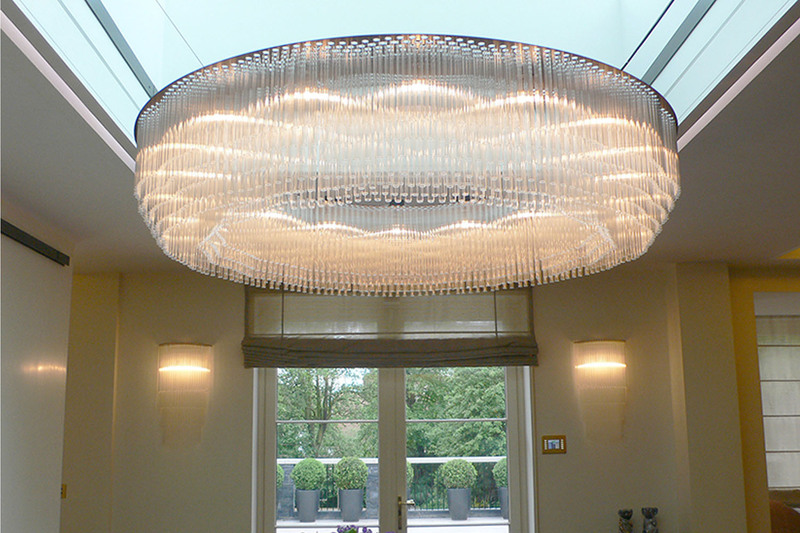 This large Ring Chandelier makes a dramatic impact as the central lighting feature in the dining area. Suspended from a custom frame, the chandelier is complemented by a pair of tiered glass wall lights. MaterialsPowdercoated steel and borosilicate glass.